April is jazz appreciation month, and April 30th is International Jazz Day. In the early 1940s, a small group of musicians would meet in two small clubs late at night after work (for musicians this is way past midnight) for late night jam sessions. Under faint lights and cigarette smoke, horns blazing hot, pianists pushing harmonies, brisk walks of the double bass and the quicksilver shimmering ride cymbal from the drummers, a new sound was cooking.The Minton’s Playhouse and Munroe’s Uptown House in Harlem, New York, became the birth place for the jazz genre called bebop. Musicians experimented with new musical ideas with renewed spirits keeping tired minds awake and driving forward a new art form which formed the foundations of modern jazz. Bebop was characterised by complex chord progressions, breakneck tempos, virtuoso soloing and uncompromising compositions, a radical departure from the previously happy sounds of the swing bands. The debate about what is jazz and what is not has been with us for decades. Still people have not been able to find common ground on what would be considered jazz, and most specifically, not jazz. Whatever jazz is however, it resolutely refuses to fit into a box; this American art form has found a home and resonance around the worldwith people in different regions welcoming and adapting jazz as a form of musical expression while fusing in elements and nuances that have made it their own. I did not grow up around jazz, did not even know of its existence but as a young musician in a brass band where we had to play written music scores, I always wanted to play off script, things I could hear in my head I felt the composers of the music had not said, ideas I wanted to give life to, sometimes just the need to play the music in my own way and while this was frowned upon, it was part of my quest in developing a voice as an instrumentalist and musician. So naturally when I stumbled upon a genre that could offer me expression, jazz was an easy choice. The struggle for civil rights goes right to the heart of the foundation and roots of modern jazz.It is the unfavourable racial dynamics that partly spurred its inception. Black musicians wanted to be regarded as showmen in their own right, and gain respect as musicians, and own a sound they called their own. 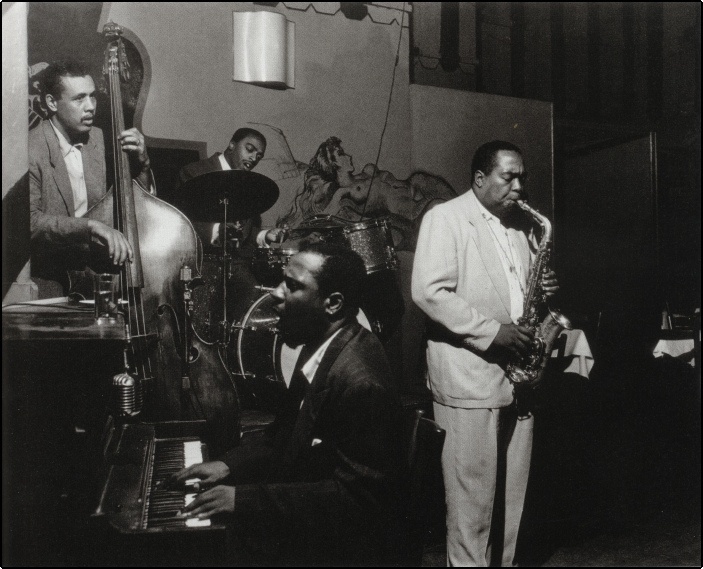 Charlie Parker, Gillespie, Bud Powell, Max Roach, Thelonius Monk and other bop innovators wanted to play music that was so complex that the establishment could not play, as Parker has been quoted to have said.Through the years, jazz cats (that’s what we call jazz musicians, because they are all cool) have made statements through compositions and performances and jazz has become part of the voice of freedom and emancipation. It was not just in the USA that jazz was a form of rebellion; well documented is the story of trumpeter and Hugh Masekela who had to flee South Africa for speaking out against the Apartheid regime, or Cuban born trumpeter Arturo Sandoval who had to move to America he has gone on to win 10 Grammy Awards, six Billboard Awards and one Emmy, and a Presidential Melody of Freedom. His story is documented in the movie For Love or Country: The Arturo Sandoval Story (2000). Countless other examples abound. Jazz has been the music of happier times and tales as well; in a multitude of forms that have permeated modern music, from sampling in Hip-Hop to a modern return of vintage straight ahead styles, and many regional derivatives such as Latin and Afro Jazz have proved the adaptability and flexibility of this genre. UNESCO has designated April 30th as the International Jazz Day, a day to celebrate Jazz, and this is marked by a headliner concert, and multitude concerts around the globe. UNESCO Jazz Day theme logo. 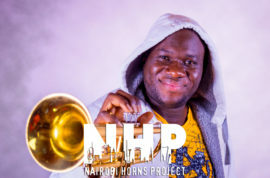 The UNESCO website states that the International Jazz Day celebrates “the virtues of jazz as an educational tool, and a force for peace, unity, dialogue and enhanced cooperation among people” and this year this event will be marked here in Nairobi featuring performances from the alumni from all four editions of the Safaricom International Jazz Festival. 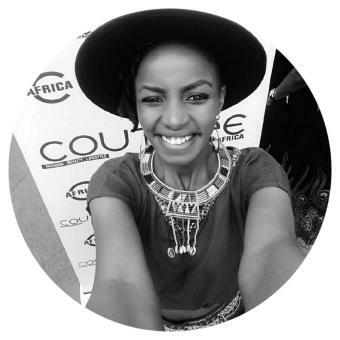 The concert happens at the Carnivore from 2pm to 5pm. I’m a jazz enthusiast and you couldn’t have described better what jazz stands for. This is really amazing. I just discovered this site and I’m loking foward to more interesting and informative articles about jazz like the above one.